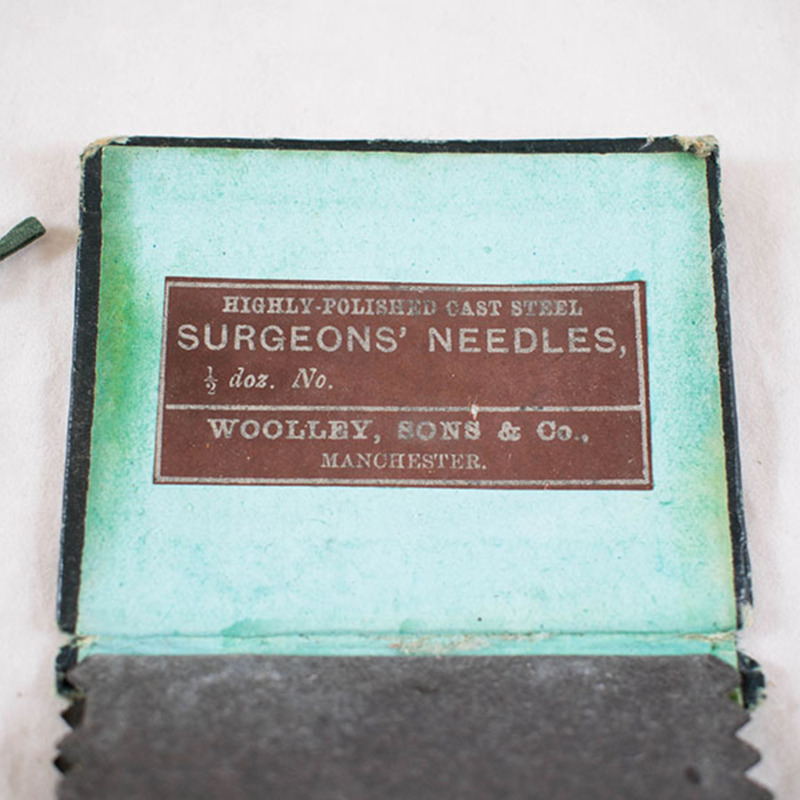 Several suture needles in leather and cardboard case, from the surgical case of Maud Perry Menzies. 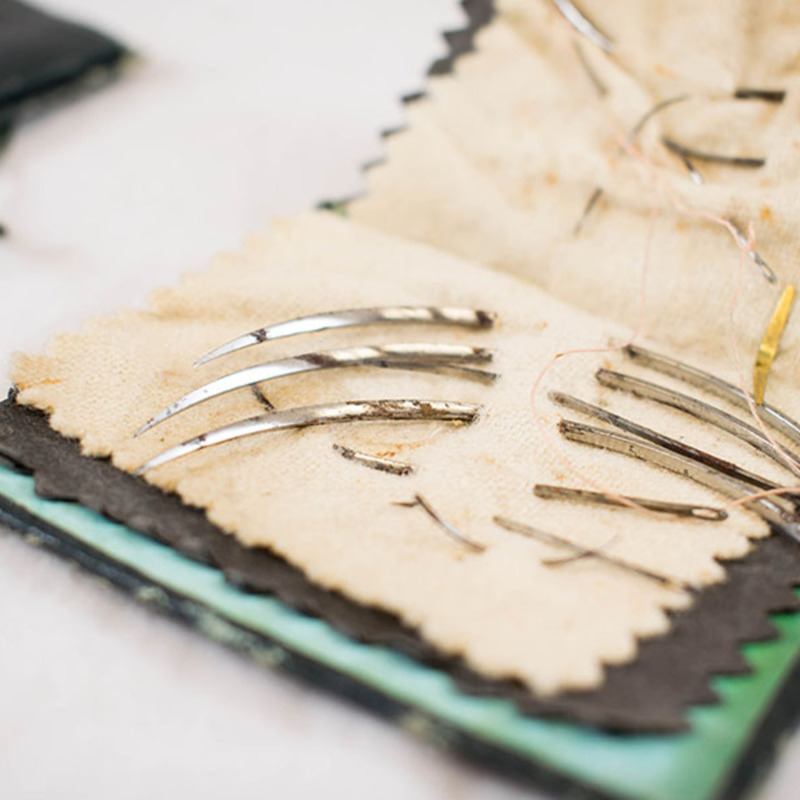 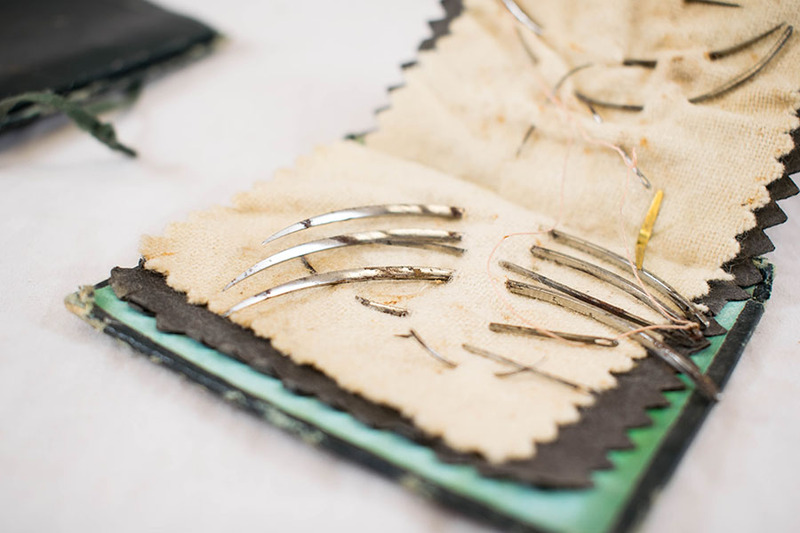 “Suture Needles,” Heritage, accessed April 20, 2019, https://heritage.rcpsg.ac.uk/items/show/434. 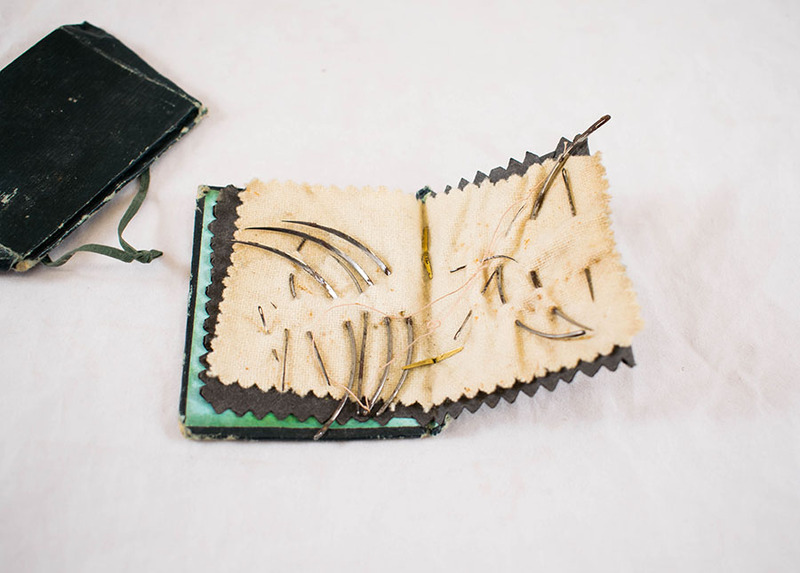 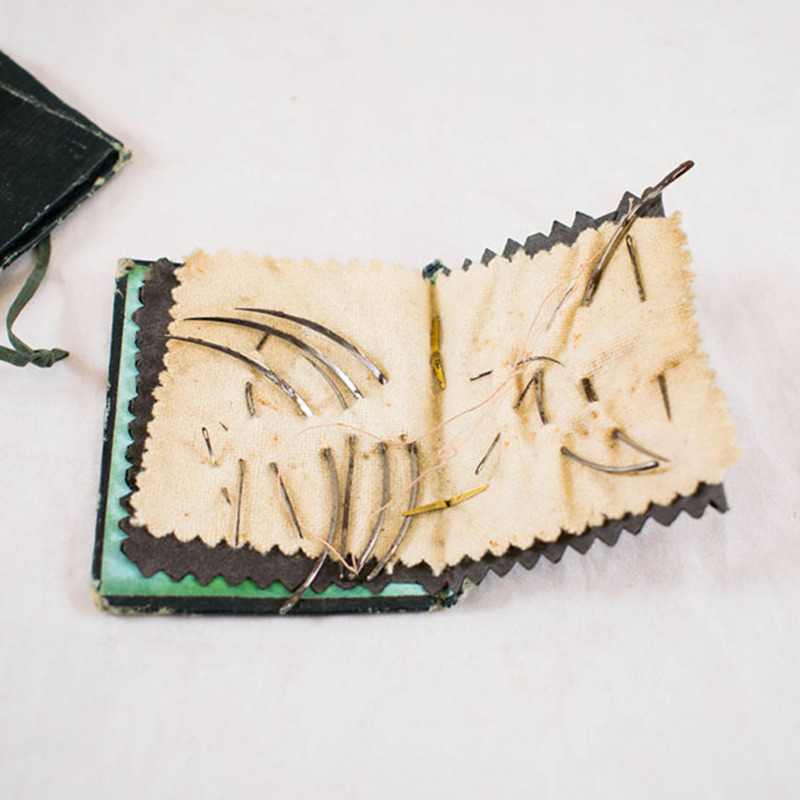 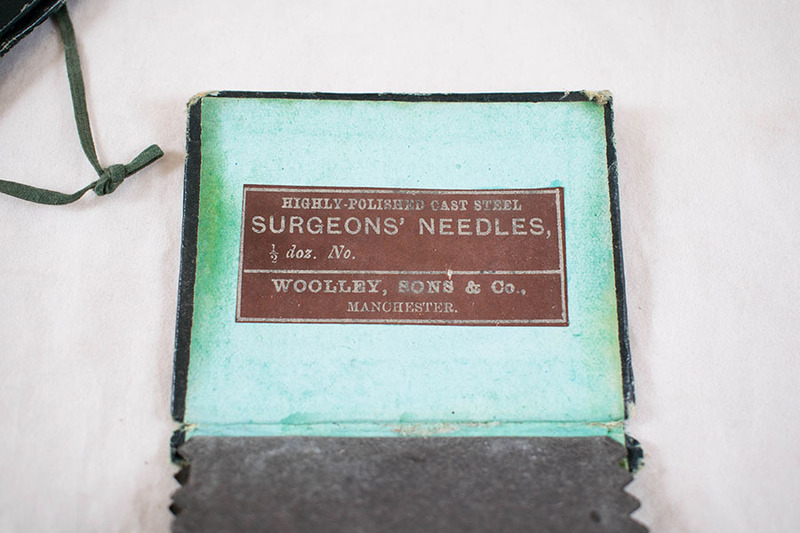 Description: Several suture needles in leather and cardboard case, from the surgical case of Maud Perry Menzies.